Being a Millennial, a mom and an ‘ag’vocate I thought I would put together a post on why it’s important and what you need to consider when you’re trying to reach Millennial moms. A Millennial is someone who was born between 1978 and 1994. Today 22% of the mother population in the U.S. are Millennial moms—that’s approximately 9 million women in the U.S. alone! Global communications firm Weber Shandwick partnered with KRC Research to explore the growing, highly-connected and influential group of Millennial moms. Millennial moms have more social media accounts than total moms, and they spend four more hours per week on social networks in comparison to other moms. 90% of Millennial moms share information on these key topics: retail stores, apparel, food and drink and more than 50% share information about financial investments and life insurance. As a Millennial mom myself, I find this information useful in the agriculture industry’s efforts to connect consumers to farmers. Personally, I will say I use Facebook, Twitter, Instagram and Pinterest on a daily basis. I’m sure if you add up the time spent on these social networks it would equate to more than four hours per week. The majority of my time spent “socializing” online is during the times my four-month-old son is sleeping in my arms in the recliner. I don’t want to wake him by moving him or by turning on the television. I also know he won’t be little for long so I enjoy these moments as much as possible, even at 3 a.m. (am I right my fellow moms?!). Moms love to hear from other moms. Attention all you farm moms out there! Now is the time to get connected. We want to know how you handle situations when it comes to raising your children so please share your stories and include how your farm life influences your family life. It is convenient to connect with our friends via social media, sharing articles through Facebook, Pinterest and Twitter so make it easy for us to spread your message. I won’t be watching your video with sound. The videos I do watch and enjoy include captions. Instagram is great because it is easy to use and very little reading is involved. Include short captions and/or a link where we can find more. Utilize Pinterest as much as you can. I scroll through looking for recipes, articles, experiences, etc. on a daily basis as if it were a Facebook newsfeed. Motherhood is a gift, however it can be very lonely at times. 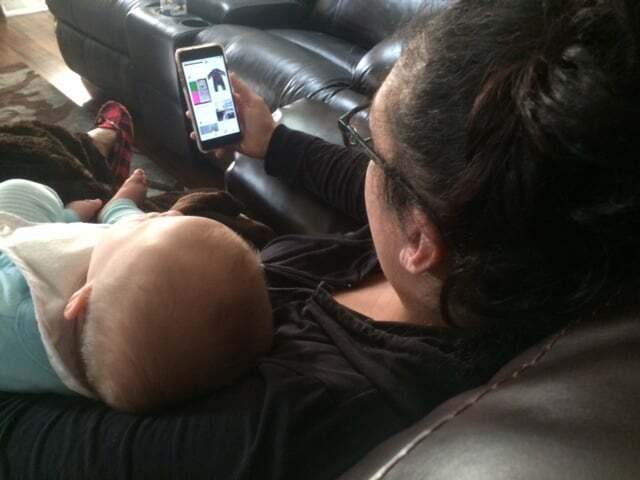 Thankfully we can feel more connected through our devices when it is convenient for us AND without having to wake a baby who finally fell asleep in our arms. Are you a Millennial mom with other tips or ideas? Please comment on this post and share them!